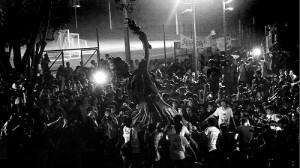 Rioting in Hong Kong has become one of those social norms and pretty much a common occurrence. The reason for this is fairly simple, back in the 1970s and 1980s, if you work hard enough the poor class can rise to the middle class, while the middle class can move on to the upper class. However since the handover in 1997, the new generation graduating out of universities can struck in low paying jobs or simply unemployed, while the cost of living and house prices continue to rise to unprecedented levels. The result is the working class goes poorer and middle class move into the working, while the only benefit goes to the richer becoming forever richer. In essence, Hong Kong is becoming just like they feared – China. Such is the backdrop of student Lo Chin-yip’s documentary about Hong Kong people receiving the basic of human rights – one person one vote. 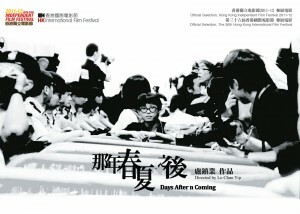 Days After n Coming is really a mix bag of a film. In the opening 60 minutes the film is well shot, extremely well edited and capturing all the correct moments of those action packed riots. The best thing about this quadrant is that it feels objective enough. However come the final 30 minutes Lo seems to be promoting some sort of personal agenda and society. The result is that the documentary feels like 30 minutes too long and spoiled by an extremely subjective final quadrant of a film.